1. You could be a winner! Whoever stomps the most juice during a two minute period wins! Winner receives special gift bag, $50 D&W Fresh Market gift card, sash and crown! 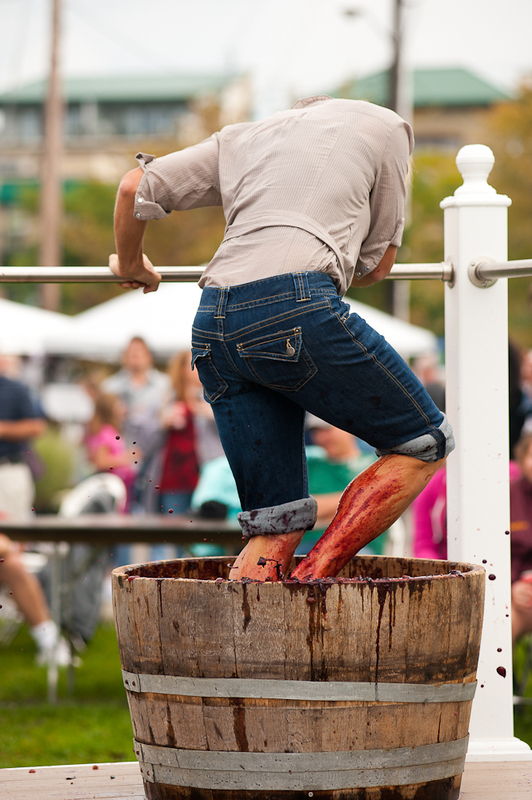 If you’re skipping the gym to come to the Salmon Festival, don’t worry, stomping grapes is a great cardio workout that will put your leg muscles to the test. 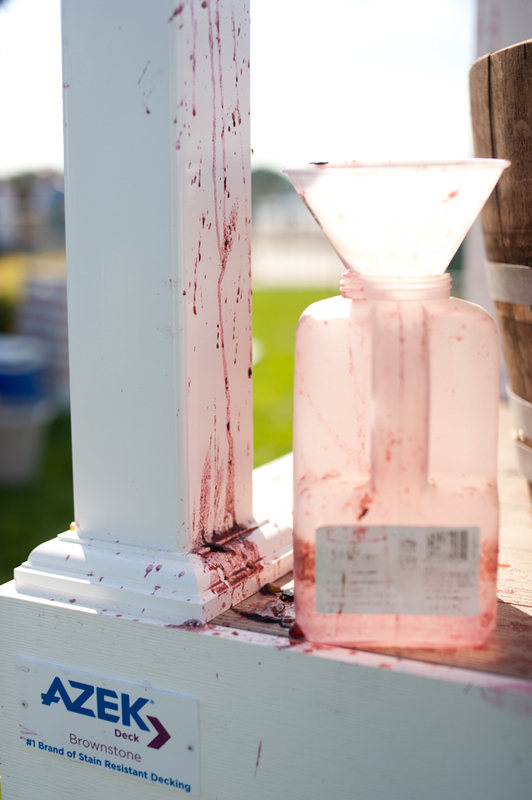 There will be lots of great Michigan wine available for your tasting pleasure, but did you know that in prior years wine has been made from the stomped juice? If you are interested in using the stomped grapes for a home project let us know. 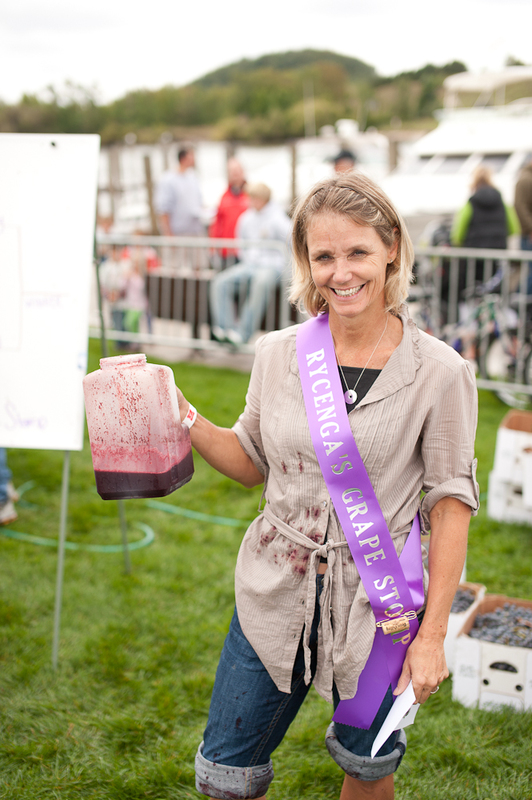 Rycenga Building Center sponsors the grape stomp and also provides the stomping platform in partnership with Azek – thanks guys! 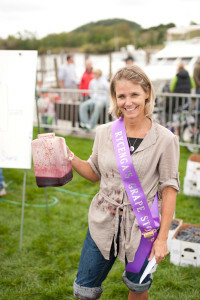 Grape juice may stain, but that doesn’t stop people from participating. 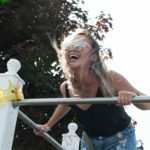 You can think of it as a way to remember how much fun you had! (If you are concerned about stains be sure to wear something dark). 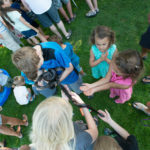 All in all, the event is a good one to participate in, or watch if you’d rather keep on your shoes. 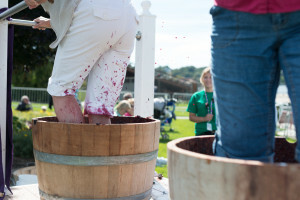 Participants must be at least 18 years old, and will go foot-to-foot during a two minute grape stomping period. 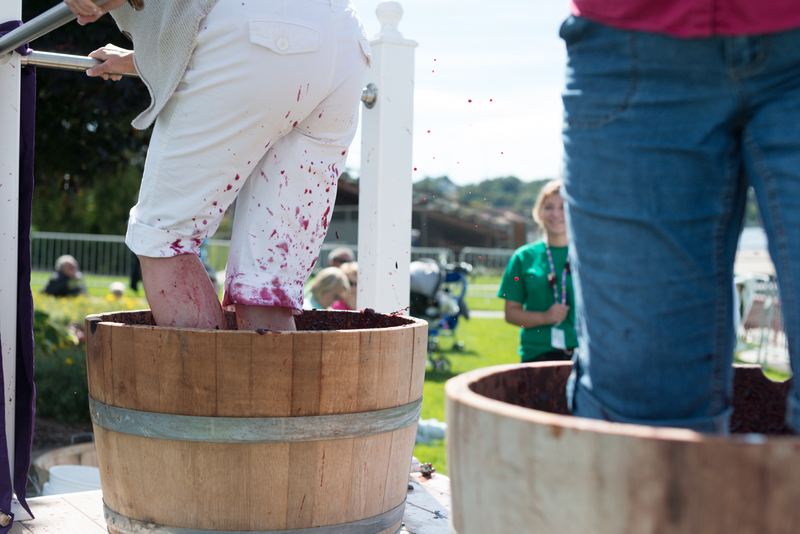 The feet that stomped the most juice, will move on to the next round – all in search of the 2016 Purple Romp Grape Stomp Champion! 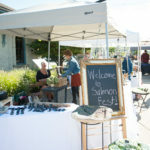 For more information about the event you can visit the specific event page and like the Salmon Festival Facebook page to keep up to date with the festival.